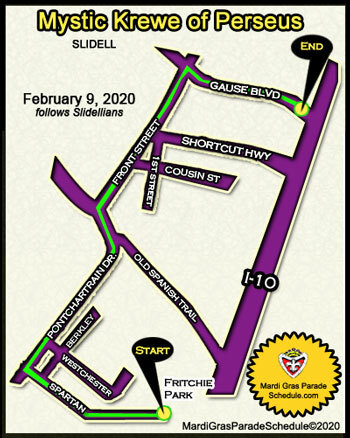 The purpose of the Krewe was (and is) to bring a true Mardi Gras ball, Tableau, and parade to the City of Slidell. The Krewe of Perseus was chartered by the State of Louisiana on April 27,1970, thus making it the oldest Carnival organization in Slidell. They are incorporated as Beau Geste, Inc. or in English, Graceful Gesture. The krewe is strictly a social organization and operate with funds which are generated solely by members through dues and other assessments if necessary. The minimum age of a member is 21 years old. 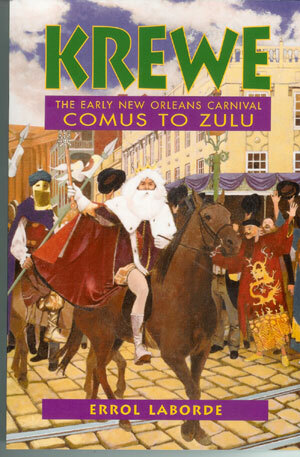 the Krewe of Perseus Year begins 1 week after Mardi Gras and ends after the following Mardi Gras. Perseus is governed and run by the Captain, the President and the Board of Governers.